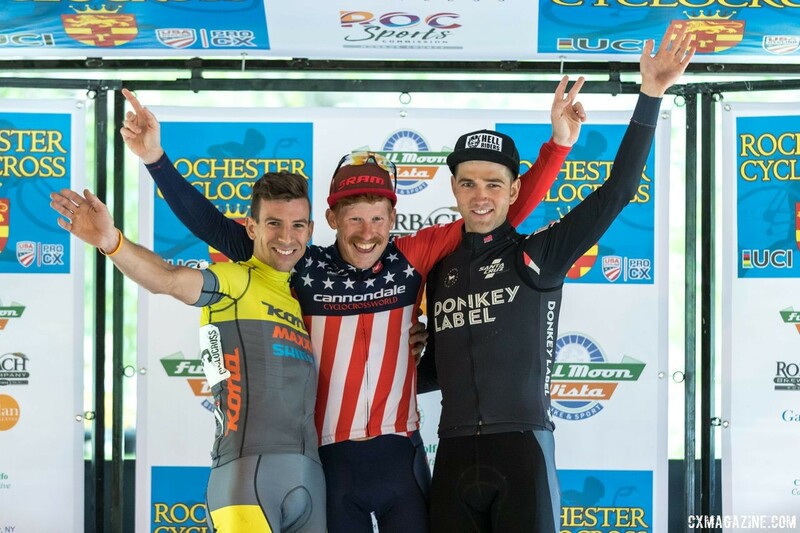 ¢On Sunday, we got the bad news that Tobin Ortenblad broke his collarbone at his District Championship race and will miss the rest of the 2018/19 season as he recovers from the injury. There is obviously no good time to break a collarbone, but the injury came at a particularly frustrating time for Ortenblad. 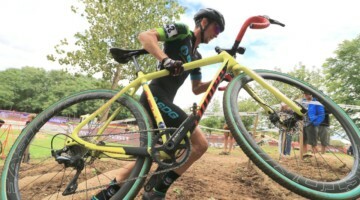 After a tough weekend at the Pan-American Championships in Ontario, Ortenblad was rounding out a big block of training getting ready for the stretch run at the Resolution Cross Cup, Ruts n’ Guts and Louisville Nationals. 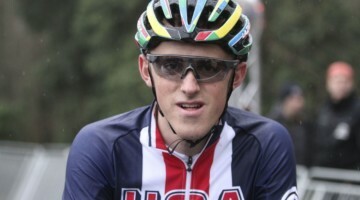 The block of racing would have given him the chance to bounce back from a tough middle part of the season and rejoin the front of the U.S. ’cross peloton that he helped head up during his impressive 2017 campaign. We reached out to Ortenblad to ask him about his injury and season. Despite still dealing with pain from the break—including some sharp tinges during our conversation—Ortenblad was up for sharing his thoughts. 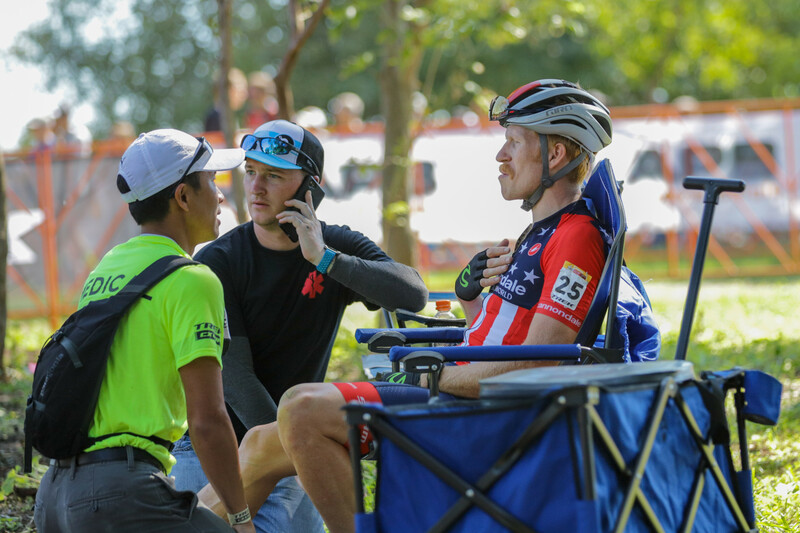 Cyclocross Magazine: It’s been a tough year for U.S. male cyclocrossers and injuries. I guess you at least have some other dudes to commiserate with? Tobin Ortenblad: Yeah it’s been a pretty crazy year. Hyde’s been in and out and back and forth. That’s kind of changed the scene a bit this year with Hyde gone. I think everyone’s game has been up a bit this year, so we’ve seen some different racing for sure. And now seeing Jamey’s fracture on his femur is just insane. Jamey and I are out for Nationals, which will definitely change the landscape of that race quite a bit. Jamey is so capable of a good ride, and I was training hard and think I was capable of a good ride as well. CXM: How did you end up crashing and breaking your collarbone? TO: I was at the District Championships in Sonoma at Maxwell Park. It was on the first lap, there’s this little up-down section that went up and down a hillside. So up the hill, u-turn, down the hill, u-turn, up the hill. One of those things. It had these kind of lumps in it, and I was jumping down these lumps, and I must have just taken off a little weird and the tire kind of folded on me when I landed. I could tell right when I took off that I was going to crash pretty hard. It was kind of a steep downhill, so I hit hard. CXM: Besides the pain, what were your initial thoughts about what happened? TO: I immediately popped up. I was a little embarrassed. I tried to straighten my bars out and keep going, and I felt the twinge from my collarbone. I’ve never broken a collarbone, but I’ve seen it happen so many times in Pro Tour racing that once I took my hand and placed it on my collarbone, I was almost in denial. I didn’t want to put my hand on my collarbone because the second I touched it, I knew it was broken. When people saw me touch it, everyone was going to be like, ‘Uh oh, Tobin has a broken collarbone.’ A couple of my friends were there and helped me try to ride away, and I could feel the muscle spasming pretty hard. I felt the pain really bad. I started getting kind of lightheaded. I knew it was bad. I was pretty shocked. I couldn’t believe it was happening before such a big block of racing. That morning I had literally booked out Airbnb and paid race reg fees for Dallas and Ruts n’ Guts. 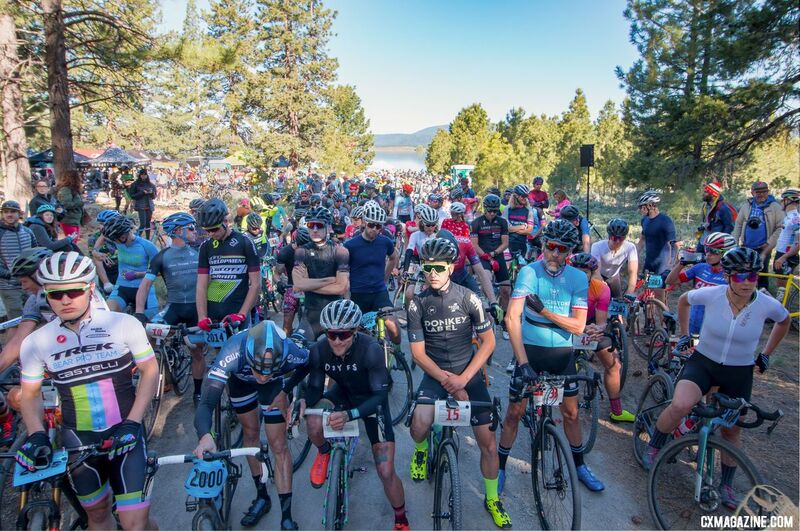 CXM: Since this happened at a local race, do you think your injury is a cautionary event for other UCI racers who want to race locally? TO: I don’t think so. We only get to race UCI races when they’re available or convenient or whatever, and the other times they’re not we have to race at home. I don’t think you do anything super out of the ordinary at a local race. 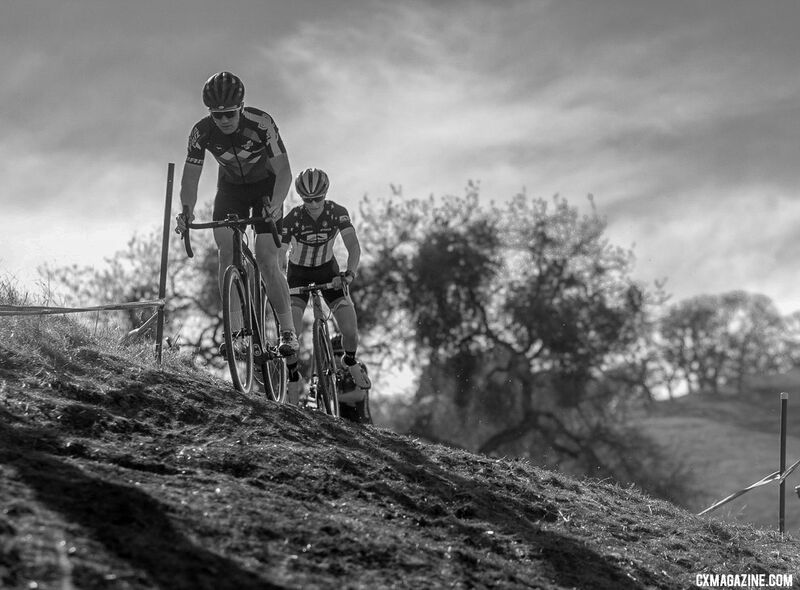 It’s important to race at home to keep that speed in your legs and your skills sharp. I wouldn’t say don’t race at home. Stay sharp, stay present. Injuries can happen anywhere. Training, walking up and down the stairs, a car crash, you can get hurt anywhere. I think you should race locally. It’s good for the local community, people like seeing you out there and it’s super fun. It is what it is. CXM: In your Instagram post, you mentioned this was a forgettable season. What are some of the factors that led to that? TO: I was trying to be positive about the year as much as I could. The results were not happening like they were last year. I think some of that is kind of based on some different training I did during the summer. I did a huge volume, a huge huge volume, but not necessarily a ton of intensity and racing. My numbers are better than last year. Just not sure why it didn’t translate to better racing. In reality, the season wasn’t that bad, but I had such high expectations, it was hard to deal with that and getting results that were barely top fives. 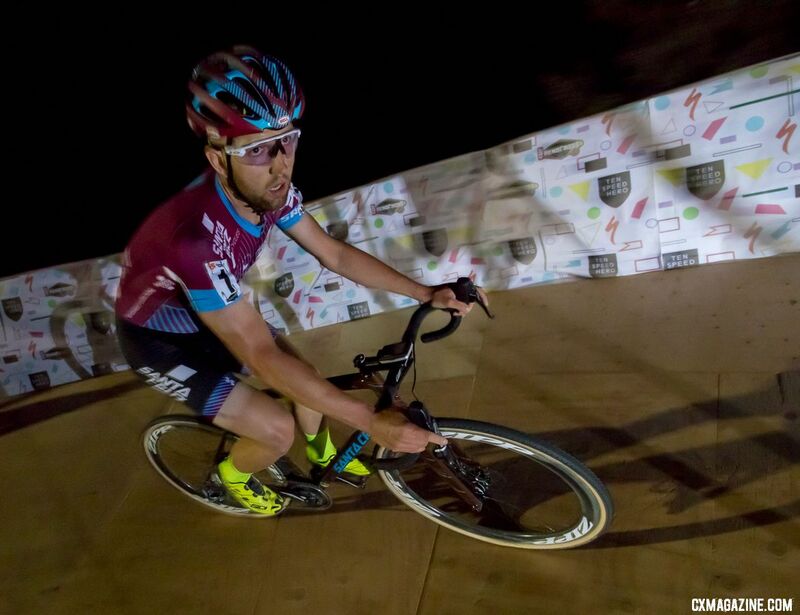 When I took a little break from racing in February and the ‘cross season, I came home, took a little two, three-week break, and then I hurt my Achilles pretty bad, which led to another 10 days off the bike. I was tip-toeing around even on the bike. I’d say, bigger offseason than planned, a bigger break and then different training are some of the factors that led to some of the results this year. CXM: I know you changed your training up quite a bit this year. Are you and coach Chris McGovern going to re-visit your plan for 2019? TO: Yes. Like I said, I did change up my training a bit with a lot of volume and less racing. I do think this season will be a beneficial building block for next year. 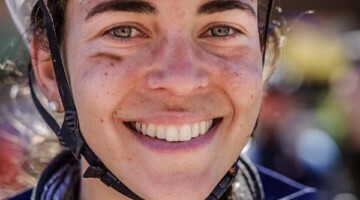 I would have preferred that this current ’cross season went well and this injury didn’t happen, but it is what it is and you can’t change the past. I think that huge block and chunk of volume I did will for sure be beneficial for the spring and summer of racing and next cyclocross season. The plans for those months, spring and summer and next ’cross season, we’re going to try to do a lot more mountain bike racing. Some big road races, nothing out of the ordinary. The North Star Grand Prix with Donkey Label, some local road stuff. But definitely trying to do some high-end mountain bike races so I’m racing more instead of training. CXM: After your string of tough races, did you guys change anything up during the season? TO: Not a ton, I’d say. It was a little more of a mind game, trying to stay positive. I truly did line up at every race believing I could win that race. I was never completely out of it. After Canada, I came home, took a week off, totally rested, because in Canada my legs were just not there. We took a chunk of rest, and then I was training really hard. It would have been interesting to see if that rest and then chunk of training would have changed anything up for this last block of racing in Dallas, Ruts n’ Guts and Nationals. But yeah, we’ll never know now. CXM: Other riders have talked about how tough it was to watch your struggles this season. Did you find anything that worked to put bad results behind you? TO: I think everyone is going to deal with a struggle. You can’t stay at the top forever. For me, it was just trying to put the past in the past and trying to stay present. Chris and I have this thing we say, relentless forward progress. Just keep plowing away, keep going forward. There’s nothing you can do about struggles in the past. We also have a one-bottle rule, so if you have a bad race, you drink your recovery drink or whatever after that race and then you can’t be bummed about it anymore. I think we just, every single race, tried to learn from it. Evaluate where things went wrong, where did I not have the fitness. What was missing? How did I struggle? Write those down and then think about them, talk about them. And then try to train those weaknesses. The biggest thing was staying present. Time always moves forward, so the past is the past, and that’s that. CXM: Are there any good things that you’ll be taking from the season? TO: I think there are. It’s for sure been a rough season, but I think we’ve learned a lot from last spring until now about diet, training, fitness, what works, what doesn’t work. I wouldn’t say there are any highlights, but as a whole, we just learned a lot. No one can ever take away that knowledge you gained, which is nice. That’s always going to stick with me and Chris and help us refine things moving forward. CXM: What are your near-term plans for moving on from the season and getting better? TO: Well, today is Tuesday, November 27, so it’s my second day with a broken collarbone. As you just heard in this recording, there are moments of it hurting terribly, but most of the time it’s pretty low-key. I head to the doctor again today to see if I need surgery. The plan now is to see how bad this break really is. See if I’m going to get surgery, and then from there recover as quickly as possible. We’re probably going to call this my quick little offseason for two weeks. Let this thing heal up. The timing obviously isn’t ideal with missing Nationals, but at least we can take a break and get back after it. And yeah, get ready to race mountain bikes in maybe April and throughout the season and be as good as we can for cyclocross season last year.